WORLDFOODS Thai Basil Vinaigrette Salad Dressing 5 tbsp. Mozzarella (Fresh Cheese) - Sliced 8-10 pcs. 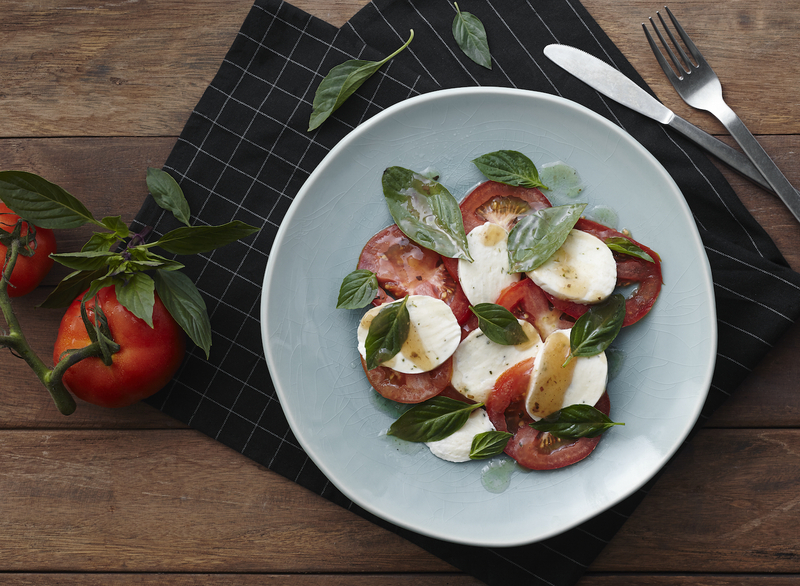 In the plate, add tomatoes sliced and mozzarella sliced then pour WORLDFOODS Thai Basil Vinaigrette Salad Dressing. Garnish with basil leaves before serve.